Are you in need of dry cleaning Poughkeepsie? Are you looking for trusted a dry cleaner? Well you’ve come to the right place. We here at Red Cap cleaners have been dry cleaning Poughkeepsie for over 60 years. 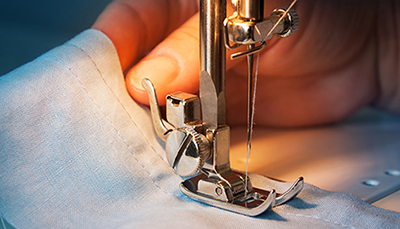 Our friendly, knowledge staff and overall experience make us Poughkeepsie’s leading dry cleaners. With locations on Main Street, North Road, Vassar Road and one in Hyde Park your search for a competent dry cleaner has come to an end. The need to wash clothes has existed for as long as clothes have. The oldest and most used method of washing clothes continues to be by hand and in rivers. This method is used in third world countries and has proven to be effective for thousands of years. As civilizations began to develop so did materials and fabrics. Said fabrics required extra care in order to last longer and still feel good on theskin. Advancements in technology have rendered primitive washing procedures obsolete. Nowadays delicate fabrics and strong fluids make our clothes susceptible to any inordinate washing procedure and before you know it; your $500 shirt is ruined. Luckily, thanks to Red Cap Cleaners you don’t have to run the risk of sacrificing your best outfit. Red Cap dry cleaners are a family owned and operated franchise that has become the leading dry cleaning Poughkeepsie company. We were amongst the first to sign on with Sanitone in 1951 and that being said; a Sanitone Master Drycleaner means we use the industry’s leading processes and procedures in garment care. More than 60 years have passed and we continue to be the go-to small company that you have trusted with your garments since day 1. We pride ourselves on our customer satisfaction rate and we continue our tradition of clothing care excellence. Take care of your summer and winter fabrics with Red Cap Cleaners. We are a trusted dry cleaning Poughkeepsie company with reputation as your go-to dry cleaners. With over 60 years serving Poughkeepsie and with four strategic locations to choose from, no one makes dry cleaning Poughkeepsie easier than Red Cap Cleaners. To learn more about helpful dry cleaning tips or about money saving ads Click here. For 60 years we have been providing top notch tailoring at competitive prices. Expert tailoring is only a call away with Red Cap Cleaners. From casual to formal attire we modify and tailor as per your request. Our team of expert tailors offer a variety of services for both men and women. Reliable Poughkeepsie tailoring is hard to find. You need a tailor that you can trust that is experienced and responsible to ensure you look your best.